A daffy woman constantly strives to become a star along with her bandleader husband and gets herself in the strangest situations. Lucy, you've got some 'splainin to do! Lucy, what do you have to say for yourself? And as I recall, it was till death do us part. That event is about to take place right now!! Ricky: Wait a minute, I'll sing. Ethel: We can always call the zoo and order a couple of dancing bears. Fred: Yeah with all that champagne, even Ethel might look good. Ethel Mertz: I refuse to go anywhere with someone who thinks I am a hippopotamus. Ricky Ricardo: Lucy, is this true? 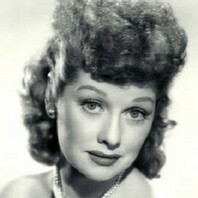 Lucy Ricardo: No, I just implied that she was a little hippy... though she has got the biggest potamus I've ever seen. 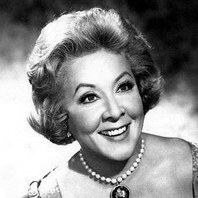 Lucy Ricardo: [in charge of operetta to benefit the club she and Ethel are in, which doesn't know that there is no money in its account because Lucy has been borrowing from it] Well, we could save money by writing the operetta ourselves. Ethel Mertz: We? Who's we? Lucy Ricardo: We is Ethel Romberg and Lucy Friml, that's who we is. Ricky Ricardo: I don't like that tone. You are thinking again. Ricky Ricardo: Lucy, if I so much as see your face at Romanov's, I'm gonna wrap you up in brown paper and mail you back to New York. And that's an ultimatum. Ethel Mertz: An ultimatum? I'm not surprised. Lucy Ricardo: I am. I didn't think he knew how to pronounce it. Ricky Ricardo: Look, all I know is that Columbus discovered Ohio in 1776. Ricky Ricardo: Lucy's actin' crazy. Fred Mertz: Crazy for Lucy, or crazy for ordinary people?